The "Free Grace" movement so emphasises the sovereignty of God in salvation that calling people to repentance and a changed life in Christ is dismissed as anti-grace. In this book Wayne Grudem shows in detail how such views contradict both historic Protestant teaching and the Bible itself. 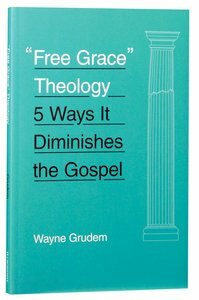 About "Free Grace Theology: 5 Ways It Diminishes the Gospel"